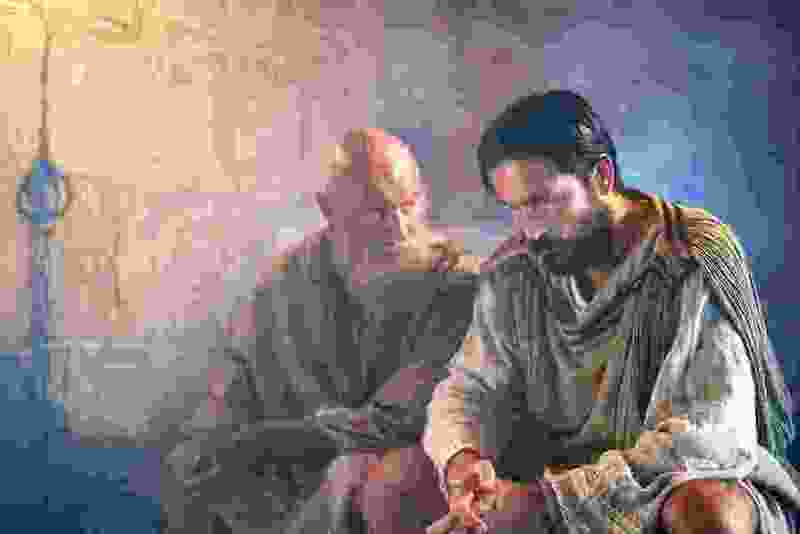 (Mark Cassar | Columbia Pictures) James Faulkner, left, and Jim Caviezel in "Paul, Apostle of Christ." “Paul: A Biography” isn’t the first book Bible scholar N.T. Wright has written about Paul, the apostle responsible for so many of the letters in the New Testament. He also penned “Paul,” “Paul and the Faithfulness of God,” “Paul and his Recent Interpreters,” “The Paul Debate: Critical Questions for Understanding the Apostle,” “What St. Paul Really Said” and a number of Bible study guides for Paul’s letters, just to name a few. Paul, as a Jew, is longing for God to do what he has promised to do, perhaps including sending the Messiah, and then everything he comes to believe about Jesus, having been confronted by him on the road to Damascus, has to be understood within that Jewish sense of this is actually what it looked like when God finally did what he promised. It wasn’t what people expected, but it was the overthrow of the principalities and powers themselves, including death. So that’s what you get from putting Paul back in his Jewish world where he belongs. There are some philosophers in the great philosophical tradition who are really very dry. You probably wouldn’t want to make a movie about the life of Immanuel Kant. He went for a walk at the same time every day and then went back and sat down at his desk and wrote the next few pages of very-difficult-to-understand stuff. Paul isn’t like that. He’s out there on the street, and he’s getting into trouble and he’s in and out of jail, and he loves people, and they love him, and then he sometimes annoys them, and then he has to make it up. It’s a very, very human story, but then, at the same time, I think we, in our culture, still have a sense that what happened in the beginning of Christianity really matters for who we are in the Western world.